If you want to buy 50+pcs, please contact me so I can give you coupon code, currently page doesn't automatically calculate discount. better to not have bleeder for two reasons: lower active state driver consumption (1.6mA vs 2.6mA), and 1mA lower sleep current (~40uA vs. ~1mA). For now there are only few (but mighty) products, plan is to make some more over time. ILC-1 illuminated tailcap modules are devices with integrated reverse clicky switch and tailcap LED illumination with control electronics in one, easy to use case. 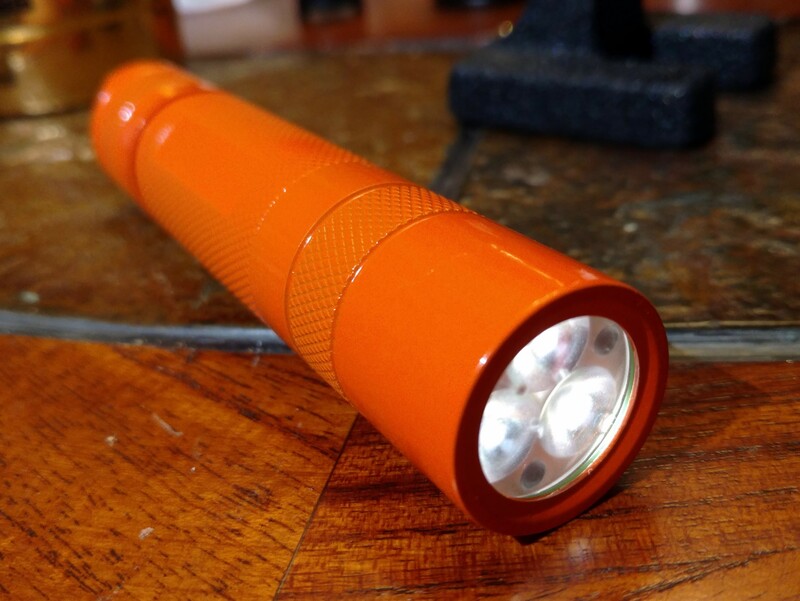 Depending on LEDs current and color, flashlights equipped with ILC-1 module can be visible not just in dark, but even under normal light conditions, which makes them easy to find and differentiate. 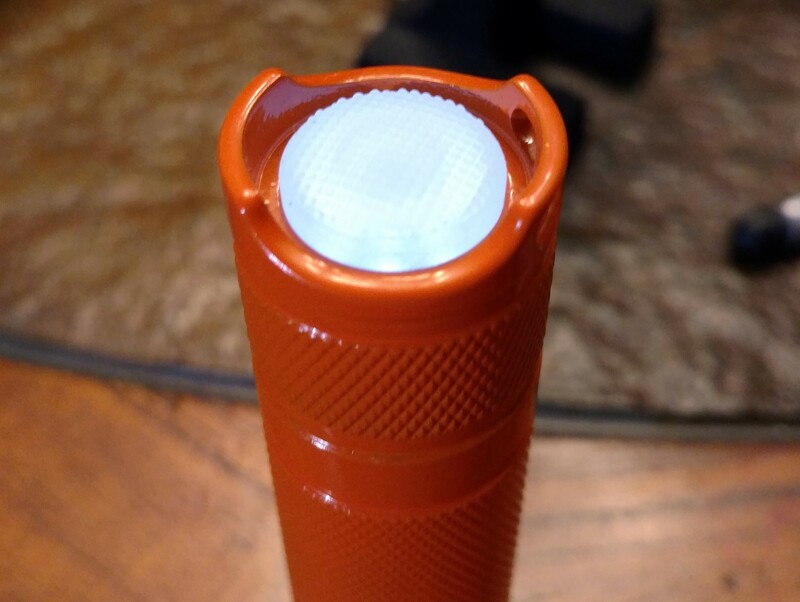 LED tailcap illumination is usually much brighter compared to tritium vials, costs less and colors are more saturated. With ILC-1 and 8 LED colors available, every light looks exotic! ILC-1 is primarily designed for small Convoy flashlight hosts with 16x8mm silicone tailcap buttons, in combination with LD-x4 driver series. Ultra-low power 2-channel circuitry drives 8 LEDs with constant current, which ensures constant tailcap brightness, completely independent on battery voltage, LED’s forward voltage/color, bleeder resistance, and temperature variations. LEDs current can be easily set up to 600uA with two 0603 resistors. All LEDs are closely matched by their Vf, to ensure equal current distribution through each LED. Also, very important feature is built-in 2-step low voltage protection which shuts down LEDs when battery voltage drops below 3.0V and protects battery from over-discharge. Active state (operating) current: 4uA typ. These high performance metal core PCBs except for LEDs, also have footprints for external power MOSFET and NTC temperature sensor on single board, which makes them ideal for very high power multi-LED builds with LD-B4 driver. MOSFET on such MCPCB has best possible thermal contact with flashlight body, so it can dissipate a lot of power without overheating, and connecting NTC temp. sensor to driver is very easy. MOSLED PCBs are made from aluminum with high performance insulation layer, and tests show they perform significantly better than copper NON-DTP boards, and they are close to DTP copper MCPCBs performance. At 3A per LED, difference in brightness compared to DTP copper PCB is only 2,3% (copper NON-DTP gives 3,8% lower output). MOSLED MCPCBs are over 3 times lighter compared to copper DTP and NON-DTP boards, which makes them especially suitable for headlamps and EDC lights. 3XP and 4XP MOSLED MCPCB are compatible with Carclo 105xx and 106xx optics series. With MOSLED MCPCB and LD-B4 triple or quad LED builds are fast and easy, and more important – reliable because of real constant current driving/limiting. Note: due to high thermal conductivity on whole board area, soldering wires is more challenging; one simple solution is to preheat PCB with hot air or with soldering iron (by holding iron tip on + or – pad) and then solder wires. During soldering, PCB must be thermally insulated(piece of thick paper is good enough) from any thermally conductive objects. That's it for now, please feel free to ask any questions, and please report if you notice any problems with web related stuff. However, have you thought about making a boost driver? More costly and less hot-roddy, but better otherwise. Some cool new products there, you have been busy! Good luck with the webstore! So this driver disabled the bleeder resistor when on, so the moonlight can run longer? Linear CC drivers will be always best overall choice for small 1-cell lights in 90% of cases, simply because they are very small, cheaper, and have high output power (if you need it). Also average efficiency (from full to almost empty cell) is not that bad at all, for example avg. efficiency with modern low Vf led (let's say Vf=3.0V) is 1/2*(3/4.2+3/3)=85,7% , that's comparable to most switching drivers, and with these new low Vf LEDs you also have full regulation basically until battery is nearly empty. As you can see, two main advantages of boost drivers(efficiency and regulation) are not that much better after all with today's low Vf LEDs - in real world you got slightly better efficiency, but that depends a lot on current,so it may be actually worse vs. linear at higher currents; and stable currents/brightness during battery discharge, but with all new very low Vf emiters linear drivers can also have full regulation 80-100% of run-time. So in my book, boost driver disadvantages - higher cost, bulkiness, and lower max. output power for size still outweighs good sides. Bleeding technique on LD-x4 is more complex compared to traditional resistor bleeding, result is 5-10 lower bleeding current (it's like having 4kOhm bleeder without loosing functionality). LD-A4 has MOSFET on it's own PCB, LD-B4 is used for external MOSFET (very high power dissipation possible). Switch in ILC-1 module is 1288 OMTEN switch used is all Convoy lights (as matter of fact, I bought them directly from Simon, because there are some fakes), I believe djozz tested these, and they were fine for up to 15A, and many BLF members use them at 6-12A in Convoy hosts. I put 3A, because I don't know how reliable are those at higher currents (just like LED manufactures have max. current rating for their LEDs significantly lower than what we all use). ILC-1 is designed for Convoy hosts, if there is enough interest my plan is to make version for EE X6 lights. Linear CC drivers will be always best overall choice for small 1-cell lights in 90% of cases, simply because they are very small, cheaper, and have high output power (if you need it). Also average efficiency (from full to almost empty cell) is not that bad at all, for example avg. efficiency with modern low Vf led (let’s say Vf=3.0V) is 1/2*(3/4.2+3/3)=85,7% , that’s comparable to most switching drivers, and with these new low Vf LEDs you also have full regulation basically until battery is nearly empty. As you can see, two main advantages of boost drivers(efficiency and regulation) are not that much better after all with today’s low Vf LEDs – in real world you got slightly better efficiency, but that depends a lot on current,so it may be actually worse vs. linear at higher currents; and stable currents/brightness during battery discharge, but with all new very low Vf emiters linear drivers can also have full regulation 80-100% of run-time. So in my book, boost driver disadvantages – higher cost, bulkiness, and lower max. output power for size still outweighs good sides. 1. In high outputs, linear is indeed close to boost. In lower ones, when you have 2.6-2.7 Vf, efficiency drops to 77.1%. With a 95% efficient boost driver, linear loses nearly 20% runtime. 2. When thermals are the limit, higher efficiency = higher output. So linear allows higher peak output, but can sustain (slightly) lower. 3. 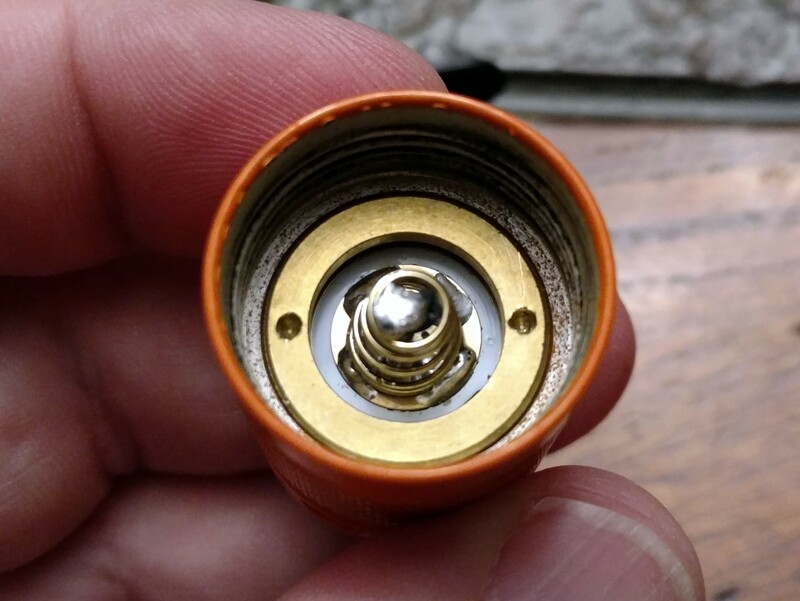 Some just want to use XHP leds with a singe battery. On another topic, does the larger MCU have enough flash to fit e-switch software? Wow very nice work on these new drivers and web site Neven! Just made an order, question, one of the options for the LD-B4 was 3 signal wires? Great looking stuff here! Love the ability to do full cc regulation or have dd in the same package, that’s great! I ordered a “B” variant with matching mcpcb to play with. Also curious about the LVP on the lighted tailcap. That’s a big improvement to those circuits. Care to share how its done? In high outputs, linear is indeed close to boost. In lower ones, when you have 2.6-2.7 Vf, efficiency drops to 77.1%. With a 95% efficient boost driver, linear loses nearly 20% runtime. 2. When thermals are the limit, higher efficiency = higher output. So linear allows higher peak output, but can sustain (slightly) lower. 3. 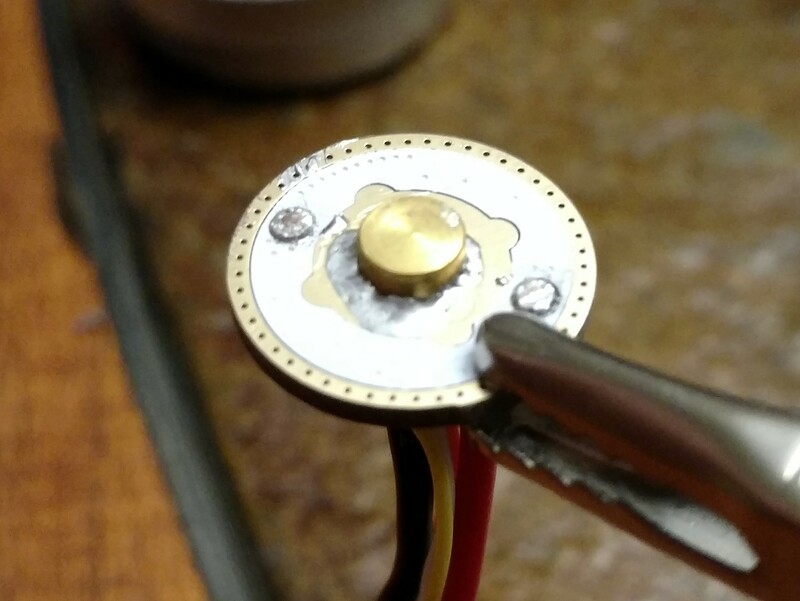 Some just want to use XHP leds with a singe battery. On another topic, does the larger MCU have enough flash to fit e-switch software? Yes,on lower currents boost would be more efficient, problem with flashlights is that you usually have several modes with currents from few mA to 10A, so it all depends which modes do you use more often. On very low currents (moonlight) linear is again more efficient because of lower supply current, on low-mid modes boost would be more efficient, on high modes they have similar avg. efficiency, but linear can give several times higher output current, this is main reason why linear is optimal for people who want lights with light output from sub-lumen to several thousands of lumens in a small package. XHP35 is a nice LED, of course when you don't have a choice, you must use boost driver. LD-A4 has one signal wire "T"(temp,optional,white color) for NTC resistor connection. LD-B4 has 3 signal wires - "G"(Gate,mandatory,yellow color), "M"(moonlight,optional-if you want moonlight mode to work properly,red color), and "T"(temp,optional,white color) for NTC resistor connection. I will add those explanations to web also. Thanks, while DD still was very desirable feature at the time of LD-x4 design, these days all high Vf emitters XM-L2, XP-L,XP-G2 are almost outdated and all new emitter have very low Vf, so DD is almost useless, LEDs draw too much current with DD, so I recommend DD option only for XM-L2, XP-L,XP-G2 emitters. About MCPCBs, well after doing some calculations and practical experiments, my conclusion is that NON-DTP copper MCPCB is total nonsense, probably pushed by Chinese simply because profit is higher, with NON-DTP boards bottleneck is always insulator, and influence of core material is negligible, power densities are just not high enough to see any difference. It's much better decision to invest in best possible insulator which has great impact on board performance, than investing in copper core which has negligible impact. As you can see from graph on my web, MOSLED MCPCB is aluminum core PCB,but with very good insulator, so it performs almost twice better compared to copper NON-DTP PCB, and those NON-DTP copper PCBs perform much better than generic ALU MCPCBs, but not because of copper, but because they use higher performance insulator. DTP copper makes sense of course, but I can't use DTP because MOSFET drain must be insulated from bottom, and insulation on DTP pcbs is very thick,and has very low thermal conductivity, which is good for easy wire soldering, but bad if you want to cool component on top non-DTP layer. About LVP: LVP is made with comparator + volt. reference, so it shuts down circuitry when input voltage drops below reference value. Your linear drivers are the best in the business bar none IMHO, great work! I think I will be picking up a few to try out. As for the boost driver discussion, I mainly like them for being able to run XHP series from a single cell, and being able to do 3S and 4S multi-emitter lights from single cells, all while still being able to use the entire battery discharge range with full power output. The benefit to running multi-emitter lights in series configuration is that it allows mixing of emitters freely, so we can run a triple with a 219B, 219C, and XPG2 if we want, and they will all see the same current. I have a schematic posted for an MP3431 based boost driver, the IC isn’t available yet, but when it becomes available it will support up to a 21A input current on paper. What we can realistically get out of a flashlight sized driver package will remain to be seen. If you want to use the design though feel free to PM me, I have no problems with someone producing the driver and won’t ask for any money from small business like yours. I totally agree that the optimal choice depends heavily on the use. I don’t think there are many cases (if any) where linear would provide “several times higher output”. OK, we’re talking about 17 mm drivers, so these are mostly used in moderately sized lights. 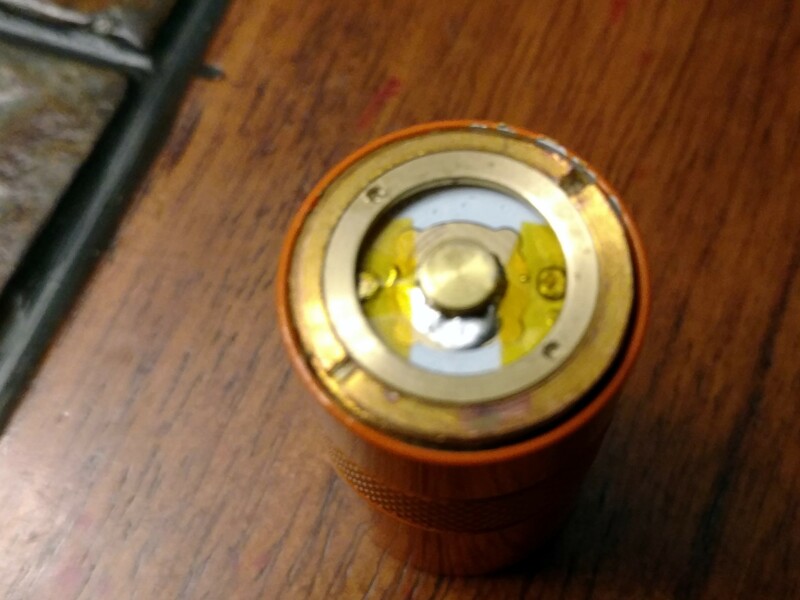 Let’s say a single high-current 18650 battery. GXB17 does 6V 3A output, which is enough for 2500 emitter lm with a single emitter (XHP70.2) and 3000 lm in a quad (XHP35, slightly better than XP-L). LD4 with a single emitter can do c.a. 1800 (XP-L2) and with a quad – 3750 (XP-L). LD3 was more powerful, would do 4500 with a quad, but the same 1800 with a singe emitter. Linear+FET are even more powerful than this, though I’m yet to see 6000 emitter lm in such setup. If you went with a 7-led setup, Linear + FET would certainly double the GXB17 output, though then you (typically) don’t have to restrict yourself to 17 mm drivers. Also, RMM said that he was working on a boost driver that would pull 10 A from battery, so GXB17 might be beaten when he’s ready. I asked if you thought about it because you make by far the best linear drivers out there (at least hardware-wise; Narsil seems to have better UI). GXB17 is already very good on paper and I thought that if you made a boost driver, you could create something even better. ADDED: BTW, I like XHP50.2 more than XHP35. I wish there was XHP35.2…. Could you supply us with the datasheet of the FET you use? New products look great. Some nice innovation with the FET on the MCPCB. This idea has been discussed here before, but it’s very good to see it actually done in a new product design. Led4power, agree about the benefits of a powerful linear driver. I think some people think linear drivers must be very inefficient because they get hot, but as you pointed out they are really no less efficient than good/typical boost/buck drivers. Of course, as discussed above, boost drivers do have benefits depending on how the light is used. Regarding new vs old generation Cree LEDs: the new ones can be more efficient and powerful, but they don’t have as high luminance and so don’t throw as well as the old gen crees. So XPL, XML2, and XPG2 are still very relevant for lots of people, and so the option to direct drive is nice to have. I have nothing against boost drivers, they are good for situations like you described, they are just not high on my priority list because you can achieve similar results with proper combination of driver/battery/LEDs, at least when it comes to brightness/throw. I want to finish linear drivers design first (and there is still some work to do, especially multicell support and e-switch support),since they will be always an useful option in many cases. XHP70(2) is a quite big LED, so it would give a very floody beam in most of small hosts (which are 1-cell in 95% of cases), so few hundred extra lumens more compared to much smaller XP-L2 LEDs is basically not visible, except indoors. XHP35 in quad are probably little better,but still they are bigger LEDs compared to already floody XP-L HIs, and 2x more expensive. The point is, you can get high lumen output with boost drivers, but at cost of wider beam and higher price, in some cases it's acceptable, in others not. LD-3 is more powerful than LD-4,how? They can do both 12A (actually,they can go 25+A, current is not a problem,problems above 12A are switch,springs,battery and total generated heat itself). Linear+FET = LD-3 LD-4, they both have DD option oh high, LD-4 has "real" hardware DD without any current limit. To answer to your last paragraph, please see my answer to Jensen567, it's identical. 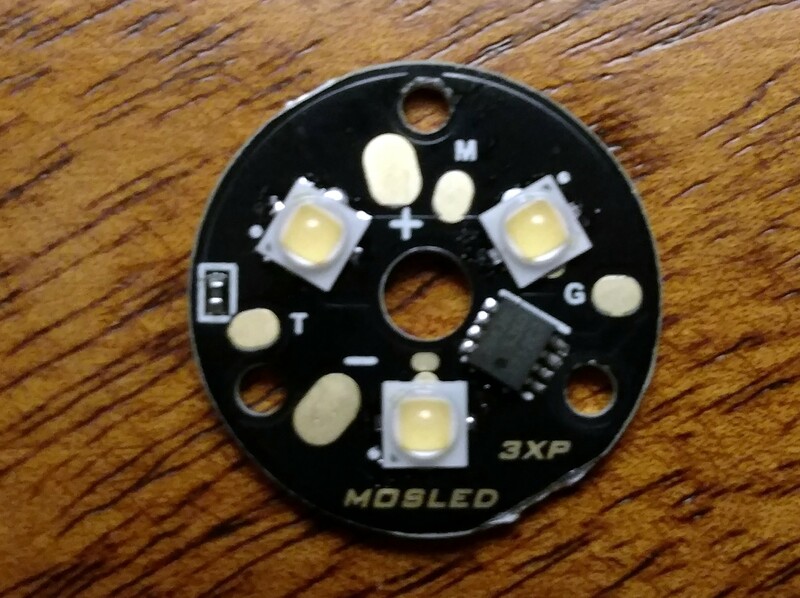 Does the LD3 FET fit on the new MOSLED board? Hmm, I am intrigued, but somewhat (hopefully temporarily?) disappointed that the LD-3 was discontinued because I had a few uses for some features of it, and the features do not appear to be available in the LD-4. Will LD-4 support multi-cells? I was planning to order an LD-3 in 6V configuration to run an XHP50. The test says that the LD-A4 is specified for low power, and LD-B4 is specified for high power – but it appears the LD-B4 REQUIRES the special MOSLED PCB? (Or is the MOSLED PCB only recommended for best performance?) I have a quad LED light that I want to install an LD-3 LD-4 driver, but I do not want to swap MCPCB. Regarding the MOSLED board: Even if thermal performance of an aluminum DTP board is almost as good as a copper DTP board, I like one other advantage of a Cu MCPCB: Cu MPCPB can be soldered to copper or brass pills, aluminum cannot. 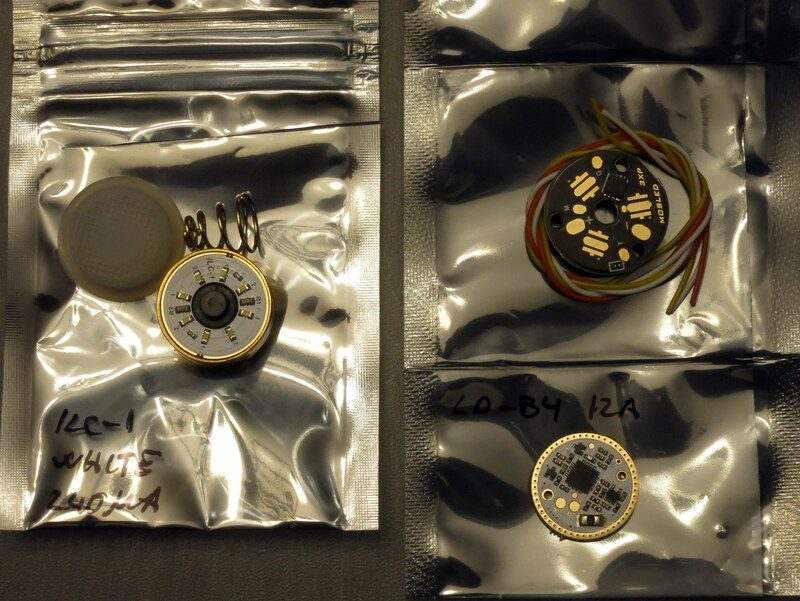 I always want to solder the MCPCB to the pill in a high power light. XHP70(2) is a quite big LED, so it would give a very floody beam in most of small hosts (which are 1-cell in 95% of cases), so few hundred extra lumens more compared to much smaller XP-L2 LEDs is basically not visible, except indoors. XHP35 in quad are probably little better,but still they are bigger LEDs compared to already floody XP-L HIs, and 2x more expensive. The point is, you can get high lumen output with boost drivers, but at cost of wider beam and higher price, in some cases it’s acceptable, in others not. LD-3 is more powerful than LD-4,how? They can do both 12A (actually,they can go 25+A, current is not a problem,problems above 12A are switch,springs,battery and total generated heat itself). Linear+FET = LD-3 LD-4, they both have DD option oh high, LD-4 has “real” hardware DD without any current limit. To answer to your last paragraph, please see my answer to Jensen567, it’s identical. Your shop doesn’t have 12A LD4, I assumed 9A is max for it. It’s nice to be wrong. No,LD-3 uses LFPAK56 mosfet, LD-4 and MOSLED use LFPAK33. Current versions of LD-4 are single cell only, my plan is to make multicell version soon. If you really need LD-3, I still have parts for a few, so I can build them (contact me on PM). LD-A4 is like LD-3,it has mosfet on it's own pcb, so it's limited to ~5-6Watts of power dissipation (NOT power output, dissipation), and that's with very good thermal path, which usually means a lot of work. 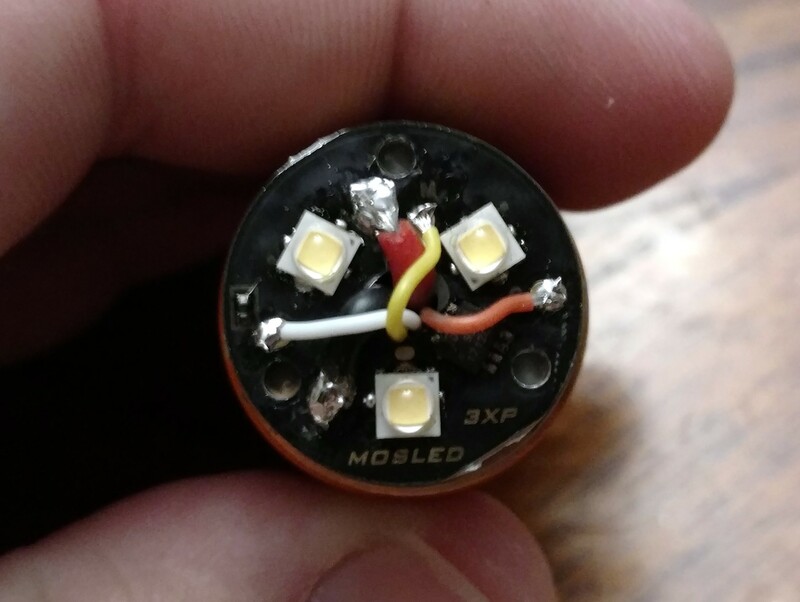 LD-B4 doesn't have mosfet on it's own pcb, so it must be somewhere in flashlight - MOSLED is simplest solution, mosfet cooling is very good, and connection requires 1-2 extra signal wires, nothing more. So, yes, with LD-B4 you need some kind of pcb with mosfet on it. If you want to leave stock PCB, only option is then to use LD-A4 and mod pill for best thermal transfer (please check page 9 in datasheet under "Thermal path considerations"). Soldering MCPCB to pill has really negligible effect on performance, LEDs still don't have power densities that high, to such mods show any measurable effects, so those kind of mods give mostly "placebo" improvements. I didn't list 12A version mostly because at 12A it's logical to use MOSLED pcb, but I will add it if someone needs 12A for different application. I was wondering about this, forgive my lack of understanding, so the LD-A4 would have no more trouble running a triple nichia at 4.5A total (which is the current I’d set to max) on an S2+ host than a 7135 driver would, is that correct? Idea is to make pill ~1.1mm deep (filling rest with metal), and use 0.5mm thick thermally conductive sheet between driver and modded pill. Thermal transfer in that case is pretty good, and depends mostly on thermal sheet conductivity (over 5W/mK are very good,but also expensive). Max. power dissipation can be increased this way to up to 6-7Watts@60C. But, this requires quite a bit of work/time, cost is high especially if you must pay for machined parts like alu rod piece from picture, and this method is still thermally not as good as MOSLED+LD-B4 combination. These should be great for single LEDs with very low Vf at 3-5A. I didn't test MOSLED XM vs DTP yet, but difference in output should be even smaller than between XP versions, since thermal pad is significantly bigger (which matters a lot with non-DTP pcbs). Would be OK to scrap the dielecric layer under the thermal pad and fill it with solder to make it DTP? Would it be worthwhile? 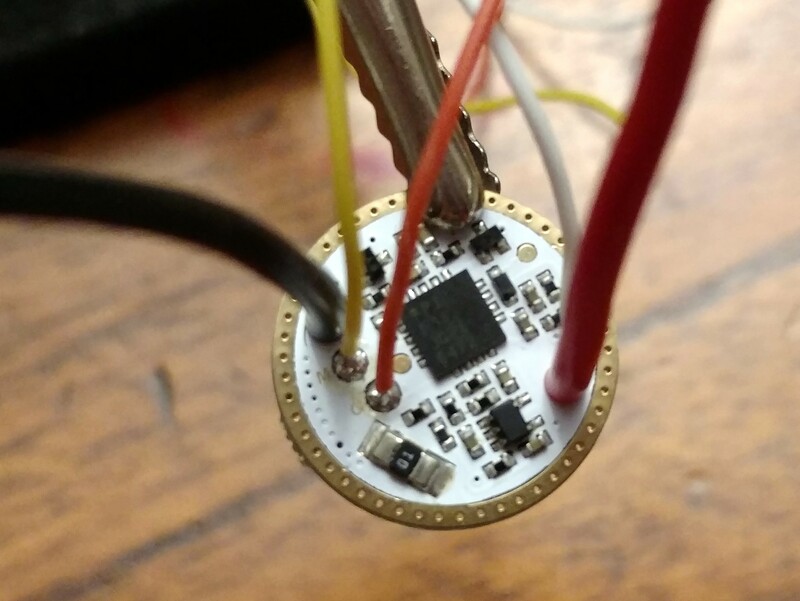 Have you considered twisting LED pads on the quad board like RMM does ? Board core is made from aluminum,so it would be difficult/impossible to solder LED, anyway gain would be minimal on triple and quads. Yes, I considered twisting LEDs on quad, but there was very little space for that, I will consider it again in possible future revisions. Got my LD-4 setup in today! I started with the tail. The setup came with a loose spring in the bag that needed attaching. I did a bypass while I was at it. After that it just dropped right in the tail. Original retaining ring went right back on. Perfect fit. So far so good. Time to prep the driver. The small wires were included. I had larger gauge stuff here for the main power leads. 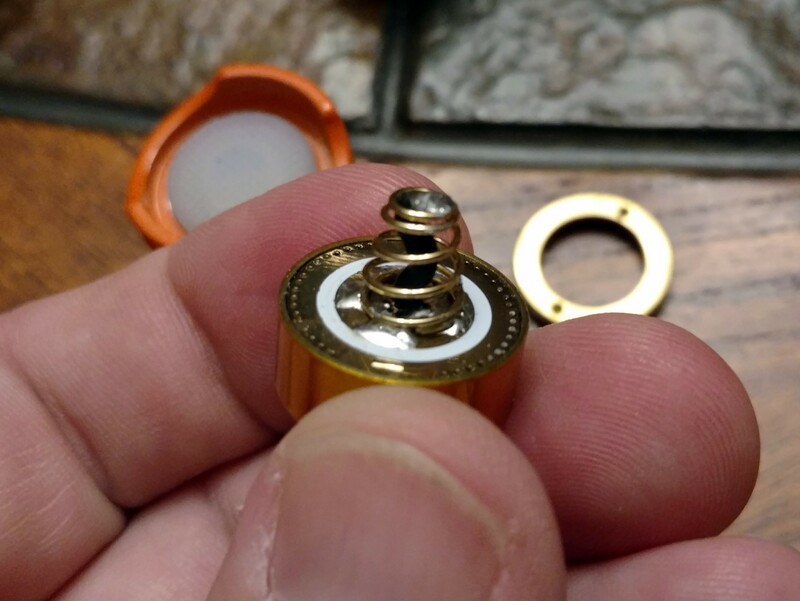 For battery on the back, I chose a brass button instead of a spring. I like brass buttons. I did have to refer to the datasheet since not all the pads and holes are labeled, but no big deal. Next I flowed the emitters onto the mcpcb. This is where I hit my first real snag. The polarity on the mcpcb seems to just be marked with little corner dots, like most emitters also have. So I assumed (never a good thing…) that was the correct orientation. Wrong. I should’ve buzzed it out to check but to be honest I was a bit thrown off by the FET sitting there. You can’t just buzz the board out like normal. I mean you can of course, and I did once I got my head around how it all works, its just not what I’m used to, ya know.. So anyway I flowed them backwards at first. So I had to do it again. No big deal. I do have one word of caution here: the mask on my mcpcb started to bubble a bit after that second flow. First time went flawlessly — second time was almost too much. I don’t usually have trouble bubbling masks, but I did a bit with this one. Seems to be fine so no real problem, just not ideal. So anyway, all that said here’s my mcpcb all flowed THE FIRST TIME! The emitter polarity in this pic is wrong! Do not copy this! 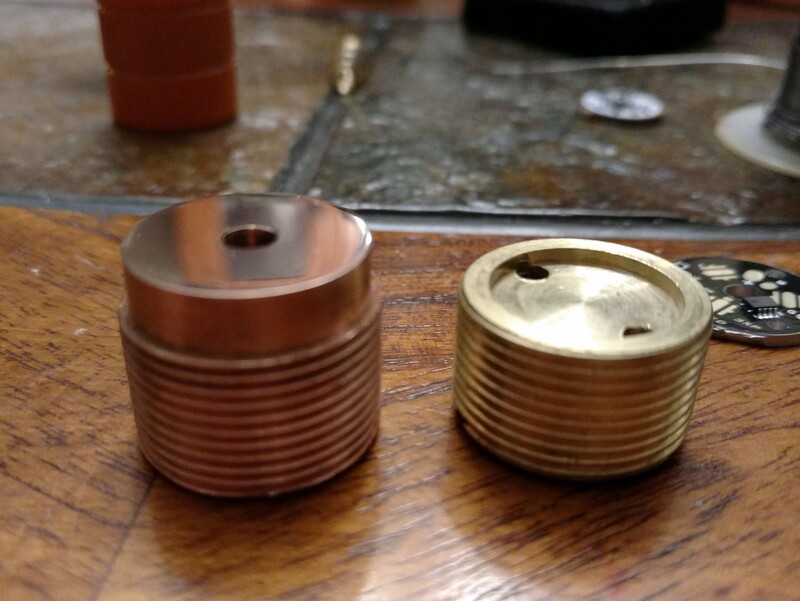 Also a pic of my kiriba heatsink compared to the original pill. It didn’t come that smooth; I lapped it. Final assembly. And here I hit my second “snag”, again not really a snag just some confusion on my part. The issue started because of what I thought was a short on the negative wire. The large wires are through-hole and are really close to touching on the driver retaining ring, so I had covered them with kapton already. But still when I buzzed out all my connections, which is something I always do before putting power to anything, it read like a short to ground. On most drivers this would basically be a driver bypass, so I went hunting. Turns out that’s the expected behavior, because the FET is up top doing the regulating so on this funky driver both positive and negative battery are passed straight through to the mcpcb. Makes sense once you think about it, but wasn’t expected. Works great! The UI is really great, love the programmability. LOVE the moonlight options. This thing gets crazy hot, fast, at 12 amps cc. I haven’t even turned on the DD option because that’s not why I bought this driver. But at this point I have no concerns about this aluminum mcpcb moving heat because it definitely does that. And I really like the lighted tailcap. I’ve built a bunch of these things and to be honest I was hesitant to buy this one due to the cost, but it looks great, I love the 8-led setup, and I especially love the idea of LVP back there. This driver/mcpcb/tailcap setup is friggin’ sweet and I need a lot more of them. Love the UI and programming options, especially all the moonlights. The double/triple click options are nice too. Careful with your emitters. Polarity on the mcpcb is funky and not clearly marked. Careful with heat. The mcpcb mask seems to bubble a bit easier than others. Could just be user error though. 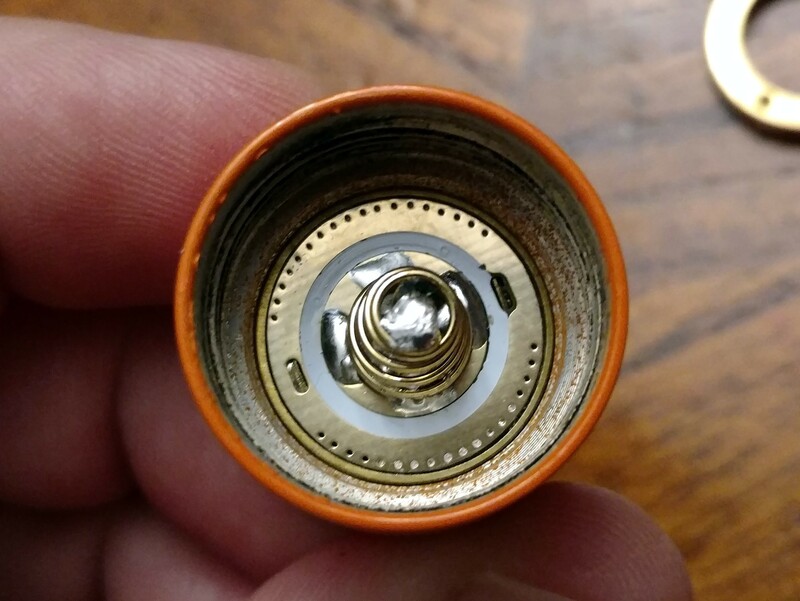 Careful that the positive through-hole doesn’t short on your driver retaining ring, but don’t be surprised if the negative reads shorted..because its supposed to be. Very nice work, emarkd, and good to know how the lighted tail kit works and that it looks good. I like the LVP function of it very much too, I have had a battery drained by a lighted tail to 2.3V already before I discovered it (not a big issue for me, but still..).